Hardly any other warden in the USA has been covered by national and international media as much as the longest serving, controversial, former warden of the Louisiana State Penitentiary (LSP) at Angola, also known as “The Farm”. Often, the coverage was positive – especially from authors and film makers who intended to return for more stories – when it was about rehabilitation through religion, morals, inmate labor, and consequences. Others criticized him for arbitrariness, how he handled high profile prisoners like the “Angola 3” (former Black Panthers) and non-Christians (including Catholics), while he made his friends’ convicted friends or relatives trusties with amazing privileges: An undisputed double murderer was working at the Governor’s Mansion and stayed at the State Police Barracks in Baton Rouge. On another lifer’s behalf, Cain coaxed a videotaped deathbed confession from a dying LSP prisoner, which – however – allegedly did not fit the details of the killing. Republican Nathan Burl Cain actually managed to have got a tight grip on many important things in the State of Louisiana. He was the wirepuller, a powerbroker. Officially, not everything that is (not) granted to the prisoners he oversaw was in Cain’s power, but those working for the state give a warden’s word “a tremendous amount of weight,” State Police Superintendent Col. Mike Edmonson says in an article by The Advocate of Baton Rouge. Burl Cain was born on July 2, 1942 and grew up with his siblings in the small rural town of Pitkin (Vernon Parish), approximately 50 miles west of Avoyelles Parish. He earned a bachelor’s degree at the Louisiana State University in Alexandria and graduated with a master’s degree in criminal justice from Grambling State University in Lincoln Parish. Cain then worked in the Louisiana branch of the American Farm Bureau Federation and soon became Assistant Secretary of the money-making agri-business (now also known as the Prison Enterprises Division) for the Louisiana Department of Public Safety and Corrections. 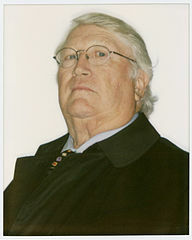 At the age of 38, Cain was appointed to the position of Warden of the Dixon Correctional Institute (1981-1995) at Jackson – one of the Farm’s satellite prisons. In 1990, Cain successfully campaigned and became the employee representative on the State Civil Service Commission. The commission is a “review board that enacts and adjudicates State Civil Service Rules to regulate state personnel activities, and hears appeals from state employees and agencies,” reads its website. Cain served for 20 years and was the commission’s chairperson until 2011. In 1991, Cain was a co-founder of the newly established organization Louisiana Wardens and Superintendents (LAWS) that pursued the appointment of his friend, Richard Stalder, as the corrections secretary (1992-2008) by lobbying Governor Edwin Edwards. In 1995, Stalder returned the favor and promoted his supporter Cain to the position of Warden of the Louisiana State Penitentiary, the oldest and largest state prison. The Farm is the only maximum security facility in the pelican state. In 2002, Burl Cain was inducted into the Louisiana Political Museum and Hall of Fame (one year before his boss, Department of Corrections Secretary Richard Stalder, was honored the same way in 2003). In 2011, a federal investigation into Burl Cain’s private real estate deals began. In early 2015, Cain considered running for governor, but eventually did not do so. Last December (effective January 1, 2016), Warden Cain abruptly quit his well-paid job when the Baton Rouge Advocate for not quite a month had been investigating Cain’s private dealings with family and friends of some of his own inmates. Due to a now-closed loophole, retired Cain continues to live in the warden’s residence on the prison ground for free and receives more than three-fourth ($134,000) of his prior annual salary this year until August 2016. Cain is a businessman to the core and has been the state’s highest paid civil servant. Some might be of the opinion that whenever he has a hand in something, it either serves his power, his purse, or ideally both. Current state legislator, Senator J.P. Morrell (Democrat), is chairman of the committee that oversees the Department of Corrections (DOC). He wants to fill loopholes in the law that the Department of Public Safety and Corrections may have used in Cain’s vindication of any wrongdoing. The main objective is that no warden is getting away with fraternizing with an inmate’s loved one again. Meanwhile, further probes by the Louisiana Department of Public Safety and Corrections have far reaching implications in Cain’s network of family members, friends, colleagues, and beyond. Former Department of Corrections Secretary (1992–2008). Cain along with the LAWS lobbied Governor Edwards and Edwards in return appointed Stalder as corrections secretary, a position traditionally given to political supporters. Stalder had been one of Cain’s former deputies and ex-warden of the Wade Correctional Center. As corrections secretary, Stalder promoted Cain from the Dixon Correctional Institution to the Louisiana State Penitentiary in 1995. He was inducted into the Louisiana Political Museum and Hall of Fame one year after Cain in 2003. Three years before his promotion to the top job at the Avoyelles Correctional Center (ACC), Nate Cain had been Warden Robert Henderson’s deputy at the Phelps Correction Center in DeQuincy and witnessed the brutal beating of a recaptured work release inmate in handcuffs by three guards and praised them for the “good job”, reports The Advocate. According to the prisoner, Nate Cain even participated in the assault himself. Neither the District Attorney’s Office, nor the FBI seem to have a record of the incident. Cain Jr.’s misconduct was not prosecuted and did not end his career either. Instead, he climbed up the ladder. Phelps was closed, ACC’s Warden Lynn Cooper retired, and Cain Jr. took over. Sergeant Randon Harrington, who was involved in the inmate beating at Phelps, is now a major at RLCC. Jessie Bellamy and Brandon Fruge were the other two guards implicated in the misconduct. Bellamy now is a captain at Angola and Fruge does not work in corrections anymore. Avoyelles Parish has made headlines for escapes from jails and prison for decades. Except for a female guard, there have never been meaningful consequences for those persons in charge. Now it is not about the escape of a criminal but – as far as journalists could find out – about $76,000 of state money for a possibly unauthorized construction (the “Ranch House”) near the RLCC’s prison gate, its’ shutdown late last year, and misconduct regarding reports of inmate rapes. Amidst an internal probe, Cain Jr. was on paid leave from April until May 24, 2016, when he resigned alleging some health issues. RLCC’s internal investigators Beau Milligan and Randon Harrington remain on paid leave. Cain Sr.’s daughter-in-law, Nate Cain’s wife, is RLCC’s ex-prison business manager. She retired on May 20, 2016 amidst an internal probe now claiming her husband’s health issues. RLCC’s Deputy Warden Paul Gaspard retired on May 18, 2016. Cain Sr.’s second son is Regional Manager of Prison Enterprises. Annual salary: $63,500. is Cain Sr.’s son-in-law. Smith is an expensive “Confidential Assistant” (also called “the No. 2 official”) for the Department of Public Safety and Corrections. He assigns prisoners, i.e. their low-paid labor, to the profitable Transitional Work Program for parish sheriffs and private operators. Smith’s annual salary: $150,000. That is $13,300 more than his boss, Department of Corrections Secretary LeBlanc, receives. Smith is former deputy warden of the Elayn Hunt Correctional Center at St. Gabriel, a prison complex plagued with high-profile escapes. Warden Howard Prince quit his job and Smith replaced him. According to the Associated Press, Smith was also “the person tasked with locating supplies of lethal injection drugs for use at the Louisiana State Penitentiary at Angola” two years ago, when companies refused to sell the chemicals for such purpose after botched executions in other states. is Deputy Warden of the Elayn Hunt Correction Center in St. Gabriel. Hooper’s son is married to Cain’s granddaughter and Seth Smith’s stepdaughter: Capt. Kristen Hooper. is Captain at the Angola Prison. She is Cain Sr.’s granddaughter, Seth Smith’s stepdaughter, and Tim Hooper’s daughter-in-law. is Cain Sr.’s assistant warden at Angola and married to Cain’s niece. He lives in Cain Sr.’s hometown Pitkin. An allegation regarding a payroll fraud (annual salary: $93,000) could not really be investigated, because Norris was not required to log his comings and goings as his colleagues must do. State Police investigator Trooper Jesse Brown and D.A. Sam D’Aquilla relied on Norris himself, his family and subordinates. They determined that they are not charging Norris, although assistant warden Stephanie Lamartinier found out that Norris’ time sheets did not add up with those from the front gate log books. Deputy Warden Leslie Dupont, Col. Stewart Hawkins and Capt. Kristen Hooper supported Cain’s and Norris’ statement. is a lawyer for the state. is the ex-Communications Director for the Department of Public Safety and Corrections. She stepped down for an unknown reason on May 23, 2016 after 12 years in office. She did not answer my email. is a spokeswoman for the Department of Public Safety and Corrections. is Angola’s new warden replacing Burl Cain Sr.
is the Inspector General. He defends Burl Cain Sr.’s exoneration, because his team was of the opinion that there was not enough evidence for a criminal case against Cain. According to The Advocate, two corrections employees came forward to the newspaper and stated that they had worked for free on the property of Burl Cain Sr.’s wife, Jonalyn Cain, but that no investigator has ever interviewed them. is a Louisiana state prisoner and whistleblower, who became the target of Burl Cain Sr.’s retribution. Kissinger used to serve time for murder at Angola, but in February of 2016, he was transferred to the Elayn Hunt Correctional Center in St. Gabriel against his will and allegedly thrown into a lockdown cell. The New Orleans Advocate reports that a federal judge once “ordered Cain to leave Kissinger alone”.